What is Builders Club Rewards? Builders Club Rewards is your reward as a home Builder or Remodeler. Its your suppliers (who are Sponsors of Builders Club) saying Thanks! for your business. Builders Club is like a frequent flyer program for home builders that allows home Builders and Remodelers to earn Club Points they can redeem for free, exotic travel, quality merchandise and more! Builders are enrolled automatically as Members and receive a monthly statement indicating their Club Points awarded from each supplier they purchased from the previous month. Each Sponsor of Builders Club awards Club Points for every $10 in purchases you make with their company. All Club Points are awarded at time of payment made within terms. Terms usually involve paying their invoices within a set number of days to get the Points. Its easy! Purchase from Our Sponsors + Pay invoice within terms = Club Points! 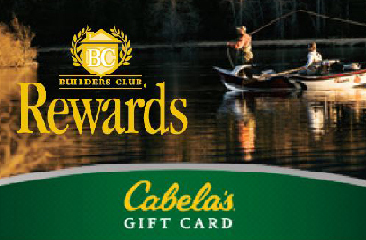 Club Points can be used for merchandise in our regularly updated online catalog, local Builders Club sports outings, our fantastic Grand Destinations, Cabela's Gift Cards and more! Redeem Club Points on this site with a few simple clicks. Just log in with your username and password and you will be able to check your account balance, redeem your Points and more. Add up all the products that go into the building or remodeling of a home and it is easy to see how quickly you can earn that dream vacation or a new iPad. Whether you do business with one Sponsor or 50, your Club Points continually grow. There is none! Its simply a valuable way for suppliers to say thank-you to builders and remodelers for their business loyalty and prompt payments.